Attached (2010) is all about how to make your relationships work. 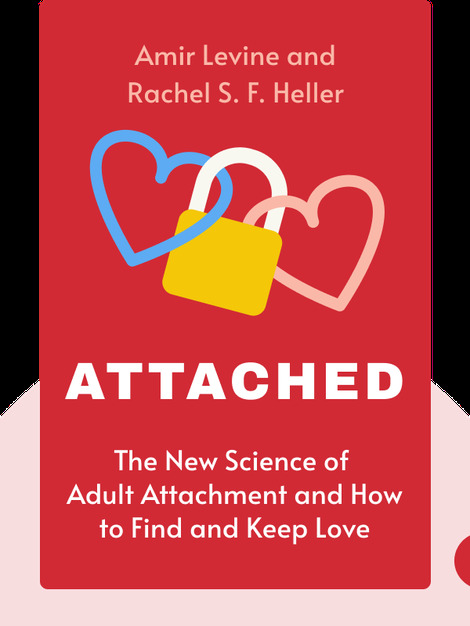 This book offers you valuable insight into the science of adult attachment and how to use this insight in everyday life, whether you’re in a committed relationship or are still looking for love. It also provides tips and tricks on how to find the perfect partner and reveals why some people just aren’t compatible. 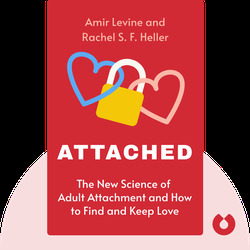 Dr. Amir Levine and Rachel S. F. Heller are close friends who decided to write a book to help others make better decisions in their romantic lives. Dr. Levine grew up in Israel and is a psychiatrist and neuroscientist. He is also the principal investigator for a research project sponsored by the National Institutes of Health. Heller graduated from Columbia University with a master’s degree in social-organizational psychology, and has worked for a number of management consulting firms, including PriceWaterhouseCoopers, KPMG Consulting and Towers Perrin.